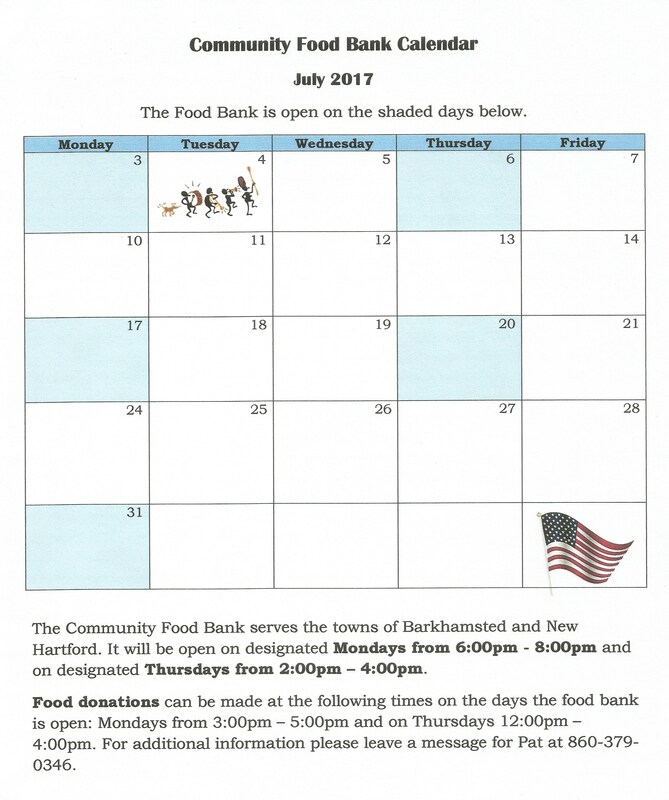 The July 2017 calendar for the Community Food Bank appears below. If you need to see it a bit larger, simply click on the calendar. The food bank is open to those residents needing assistance in Barkhamsted and New Hartford. Donations of food can be made when the food bank is open…details appear on the calendar.